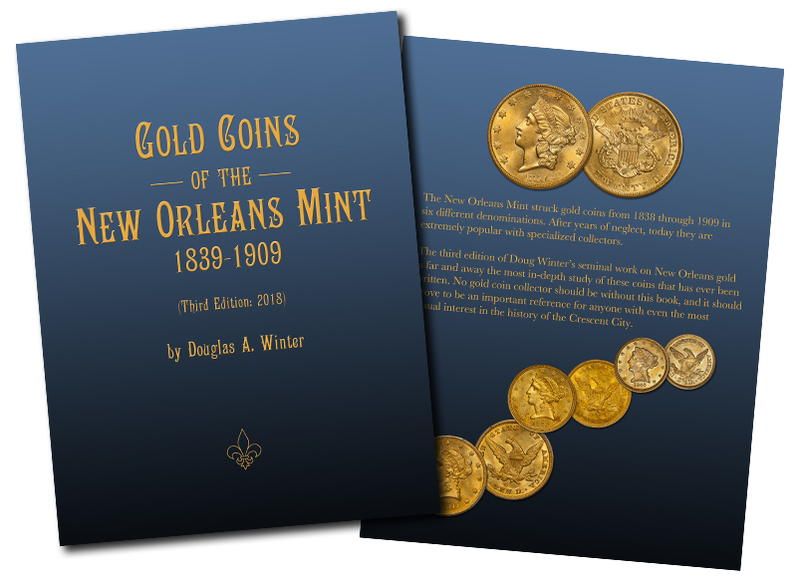 The brand new Third Edition of Doug's reference book, Gold Coins of the New Orleans Mint: 1839-1909, is now available for purchase. This hardcover, 384 page, full-color book is printed here in the United States. For now, there are 100 copies in our office in Portland, OR. We are in the process of numbering and signing them, and preparing them for shipping to their new home in your reference library. The first 50 copies we had printed for the ANA were snapped up quickly, and the rave reviews have started to come in. This is truly a "coffee table" book, the size of a large auction catalogue, with the most current information on New Orleans gold available, including rarity, population, and detailed die variety descriptions with color photos. Where would you like your book shipped? For bulk-order details, please message Doug directly. This is a beautiful full-color hardcover copy, and each book will be numbered and signed before shipping to you. Our ANA edition (just 50 copies) sold out in a flash, and the glowing reviews have been pouring in. Don't miss your chance to add this to your library. Each chapter includes information such as diameter, weight, and mintage figures; each coin has a full-color image of a beautiful example for the date and grade. Die varieties are well-detailed, and include photos to help you understand the subtleties; every coin chapter concludes with a list of the significant pieces known, auction record information, and a concise summary.